This is a recipe that I found years ago (probably 8 years) on a bag of chopped leeks. I haven’t been able to find washed pre-sliced leeks since then. Washing leeks with all those layers and all that sand is a bit of a pain, at least you know they are in their natural state. I have adapted the recipe slightly but it goes like this. 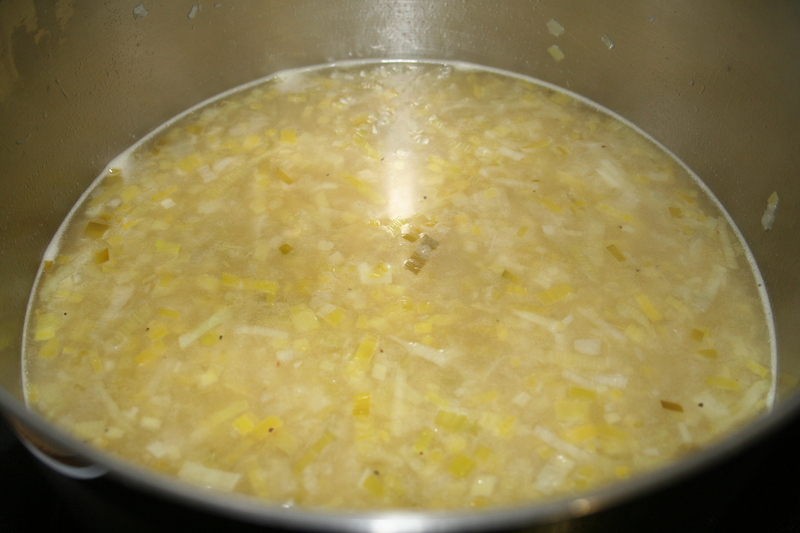 In pot melt butter and brown leeks, onion, and celery, just until they start to brown at thee edges and get sticky (sorry I forgot to take a picture of that). 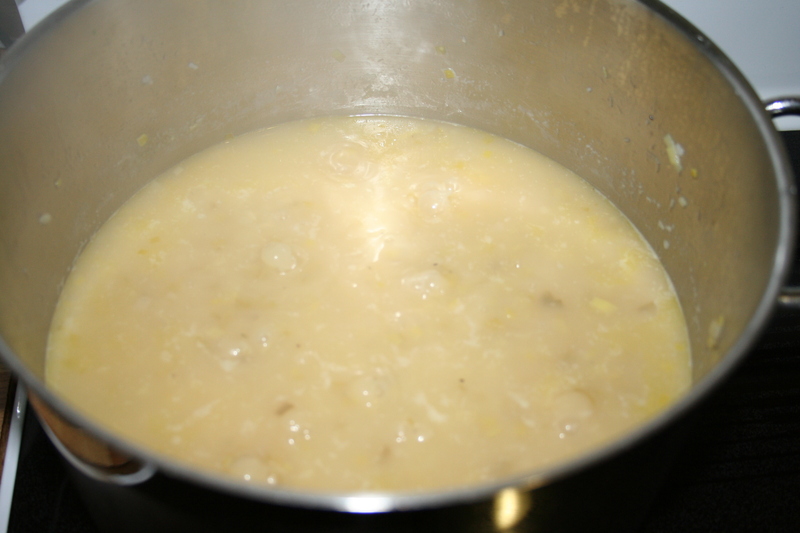 Add broth and potatoes. Cook for about 30 minutes until potatoes and really soft. 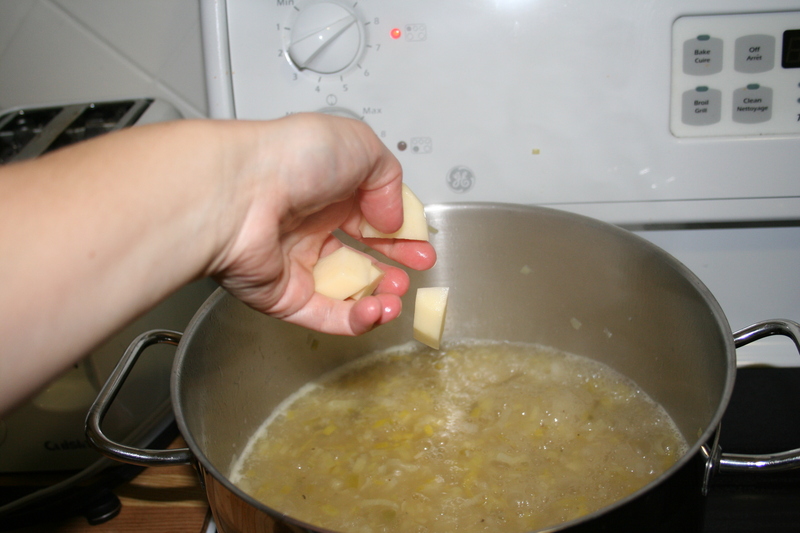 I then use a hand blender to puree the soup, you can use a blender or food processor if that is what you have. Add salt and pepper stir and taste, adjust the seasoning until it is tastes how you like it. Add cream and heat just until it is heated through but don’t boil it hard. Turn it off when you see it just start to come to a boil. 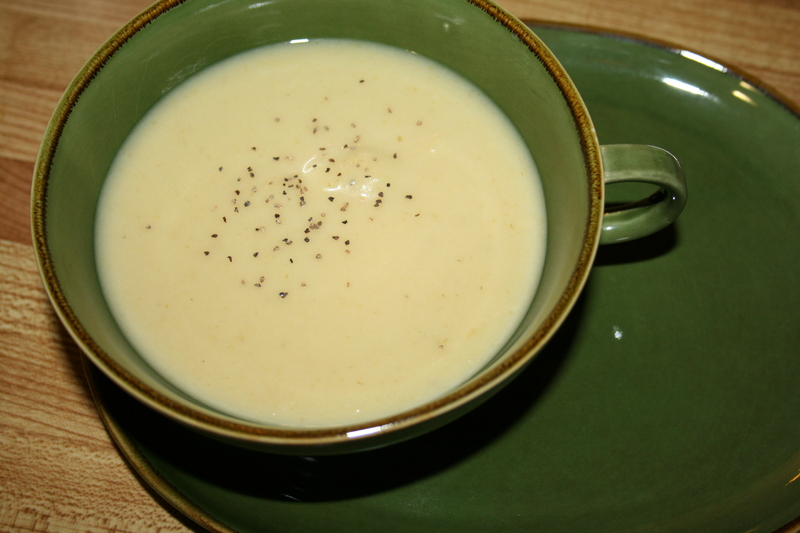 This entry was posted in cooking and tagged cream, leek, potato, soup.